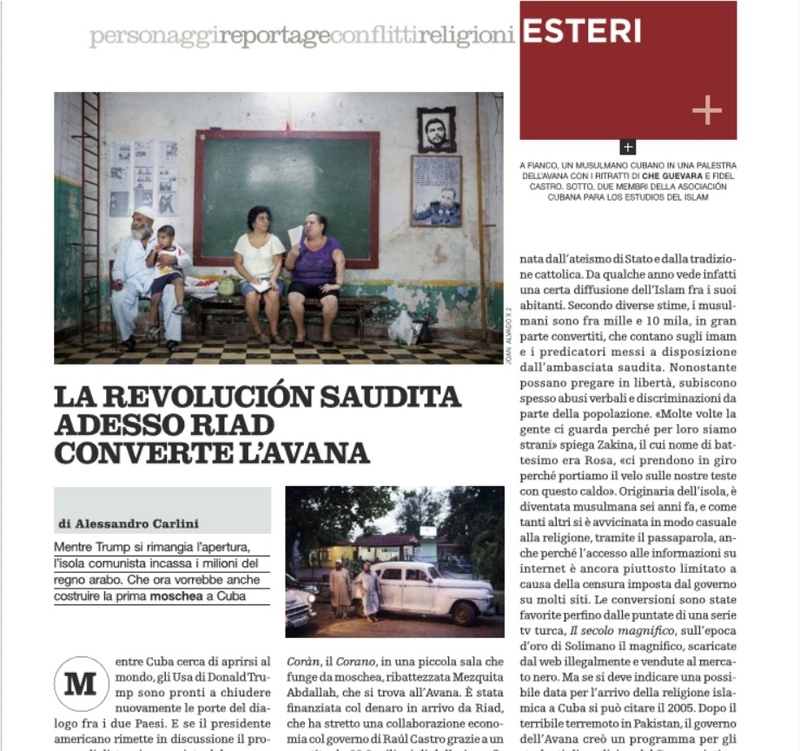 Last week a couple of photographies from "Cuban Muslims" were featured in Il Vernedi de La Republicca, together with an article digging into the diplomatic relations between Cuba and Arabia Saudi. Il Vernedi is a weekly suplement from La Republicca. Is the first time I publish about this project in Italy, and I feel happy to continue spreading this special story further and further. Joan Alvado is a documentary photographer based in Barcelona. His works have been published in Newsweek, NYT, CNN, The Washington Post, Bloomberg BusinessWeek, Der Spiegel, El Pais, LA Reppublica, VICE, among others.